Pilot program teaching non-technical moms to become web developers in Middletown #MakerEducation « Adafruit Industries – Makers, hackers, artists, designers and engineers! Britt Marshall, a first-year student at Middlesex Community College and single mother to 3- and 7-year-old girls, grew up wanting to take care of people. 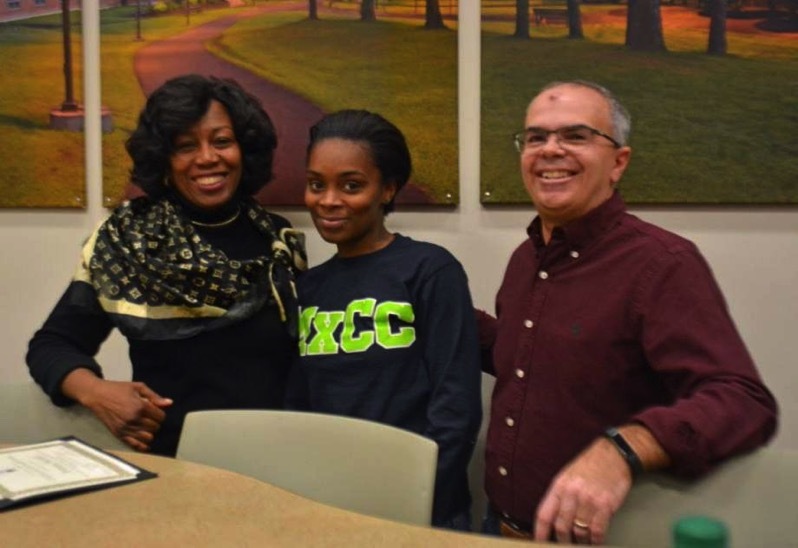 So when it came time to begin higher education, Marshall thought she might like to study pre-med, but it wasn’t until she learned about a computer coding course through her church that she solidified her career goal — and took a big step toward her family’s future. “We have — and this is not just a Middletown problem, it’s a global problem — a shortage of software developers,” said Professor Donna Hylton, program coordinator of Computer Information Technology and Management Information Systems at MxCC. Hylton, who has been in a traditionally male-dominated field since the late 1970s, took a semester-long sabbatical in June to work on a project to increase STEM awareness among underrepresented populations within the community. “We are not attracting a lot of people who look like me, and hardly any females, and particular ethnic groups are missing from our degrees. I wanted to bring some intentional programming that would attract women and girls,” said Hylton, who is also a pastor of administration and counseling at Shiloh Baptist Church on Saybrook Road. She soon after arrived at her sabbatical project: STEAM Train. STEAM is an acronym for Strategically Train, Educate, Assist, and Mentor.